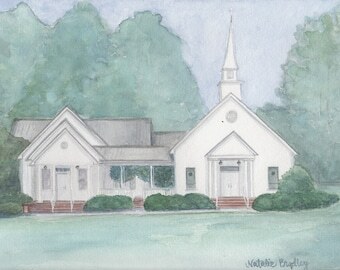 This is an 8x10 print of an original watercolor painting. 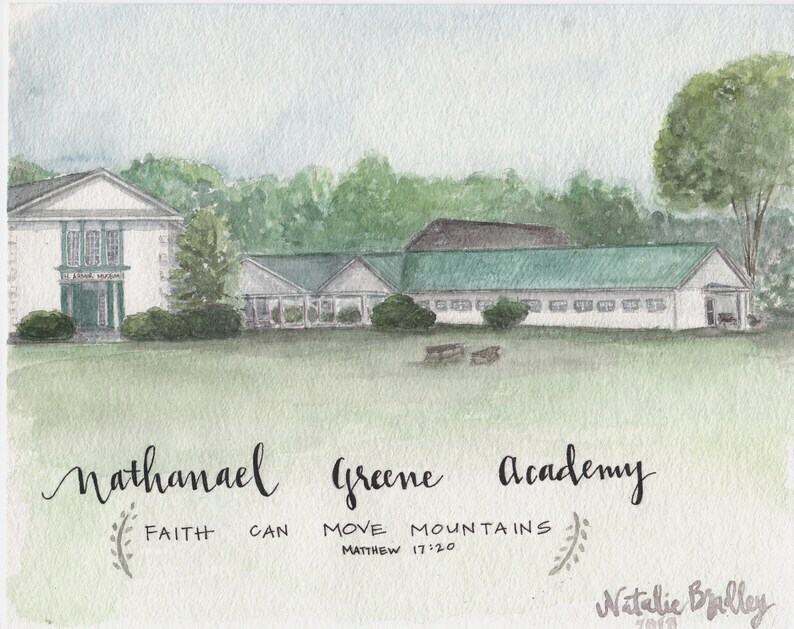 The original belongs to Nathanael Greene Academy in Siloam, GA. This is a great keepsake for your graduate, teacher, or alumni. 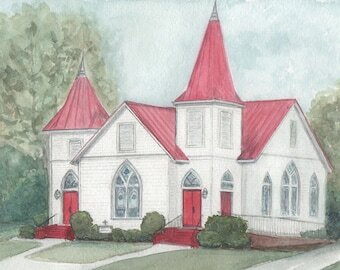 10% of every purchase is donated to NGA in Athens, as an offering of thanksgiving.